Cammack & Strong, P.C.Leadership - Cammack & Strong, P.C. Leadership - Cammack & Strong, P.C. Kerry N. Cammack has over 25 years of experience as an attorney and governmental consultant in Texas. He serves as general outside legal counsel to a number of individuals and business entities. Cammack has also served as counsel to sellers and purchasers in numerous stock purchase and asset acquisition transactions including commercial real estate purchase and sale transactions involving hotels, shopping centers, office buildings, nursing homes, residential subdivisions, undeveloped land and apartments. Cammack represents clients before state regulatory and administrative agencies, boards and commissions and advises publicly and privately held state, national and international companies and associations on a broad range of legislative, administrative, regulatory and procurement matters. Cammack currently serves as a member of the Board of Trustees of the Texas Regional Office of the National Center for Missing and Exploited Children and is a Paul Harris Fellow, Rotary International. 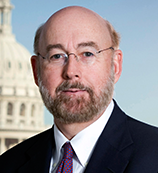 He is also a member of the State Bar of Texas, the Travis County Bar Association and the Corporate Counsel Institute. Jess Heck has worked in and around the Texas Capitol since the 82nd Legislative session in 2011. She is a graduate of The University of Texas at Austin with a BA in Government and minor in Business. While in school, she completed a fellowship in the Budget, Planning and Policy Department of the Office of the Governor. 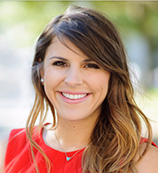 Upon graduation, Jess worked in the Texas House of Representatives and moved on to work as a government affairs consultant for a non-profit advocating for criminal justice, tax, and human trafficking issues. Currently, Jess serves as a governmental affairs consultant with Cammack and Strong, P.C. in connection with all legislative advocacy, procurement and regulatory affairs for clients of the firm. Jess is involved with the Down Syndrome Association of Central Texas and is a CASA volunteer.